Enjoy access to preferential products and services, complementing your day-to-day banking. Compare our Premier Cards here. Take advantage of our exclusive Debit Card for Premier Customers. 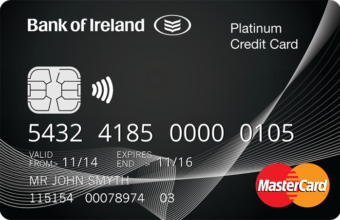 Lowest interest rate credit card available for new and existing Bank of Ireland customers. Apply for your Platinum Advantage Mastercard online in minutes or call us on 0818 200 412 - Monday to Friday, 8am - 8pm. 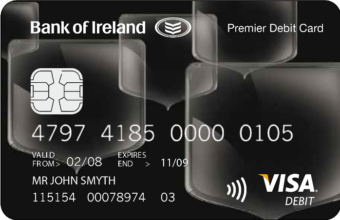 Premier Visa Debit card holders are entitled to access complimentary DAA executive lounges in Dublin, Cork and Shannon airports for up to two visits per annum. Visits are restricted to cardholders only. Access to lounges and conditions of use are controlled by DAA and not Bank of Ireland – customers must adhere to these conditions at all times. 0% interest available for new credit card customers for the first 6 months for purchases or 7 months for balance transfers from the date of account opening. At the end of the introductory period the annual interest rates will revert to the standard interest rate applicable to your card at that time. Balance Transfer introductory rates are not available on Student Credit Cards. Interest is charged on cash advances and outstanding balances. Purchase Interest is charged if you don’t pay your credit card in full by your due date. 24 hour approval means next working day provided that we are in receipt of all relevant information and documentation. Applications for non Bank of Ireland customers and applications referred to underwriting may take longer.